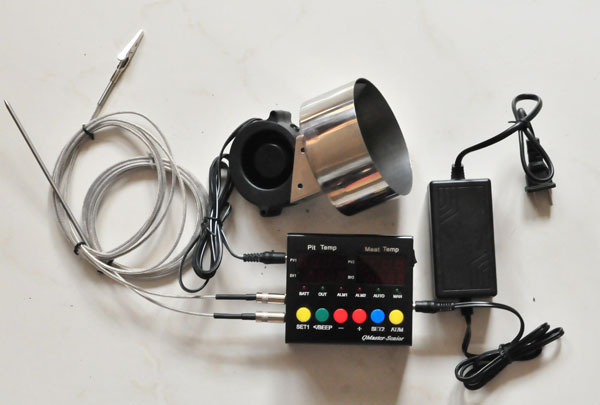 QMaster-Senior, Dual Probes, 10 CFM blower, blower adapter A for offset, or B for BGE, or C for UDS, AC/DC adapter. If you have interest, please post follow up here. Whether you will be approved or not is up to the seller. 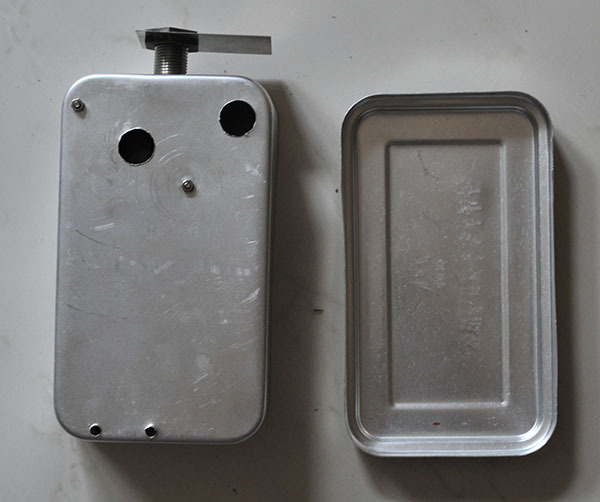 The first 6 buyers must write a review with Photo and Video on thesmokering. Other buyers are welcomed to post review too. 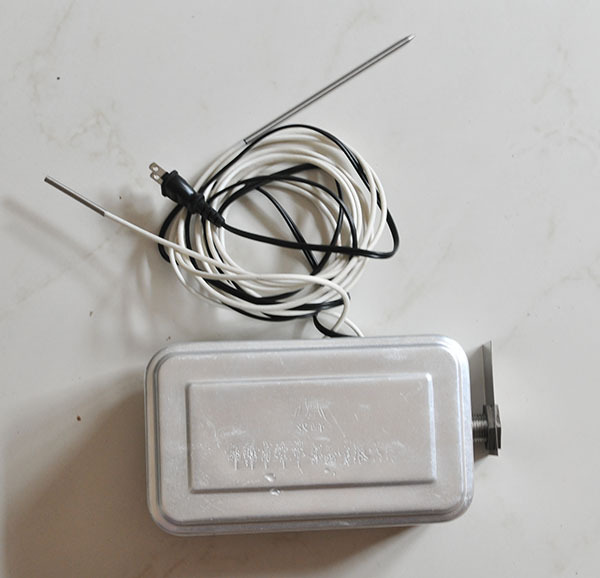 I have give-aways like brine injector, BBQ thermometer, spare parts. 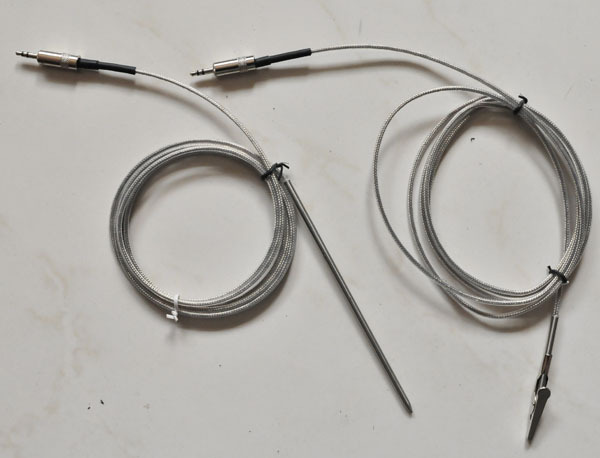 Dual Probes, one for pit, the other for meat. 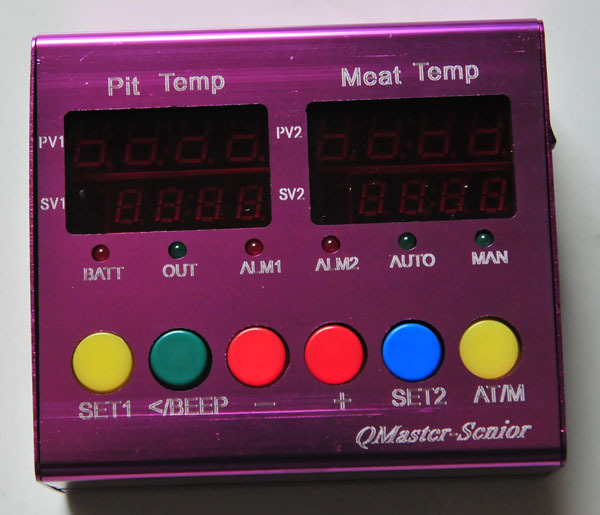 Programmable 4 PIT temperature stages and 4 MEAT temperature stages. 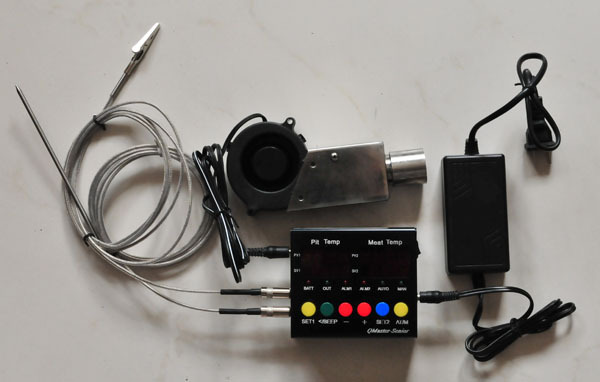 PID output to control speed of blower, in turn pit temperature. Common controller simply turns on or off the blower. 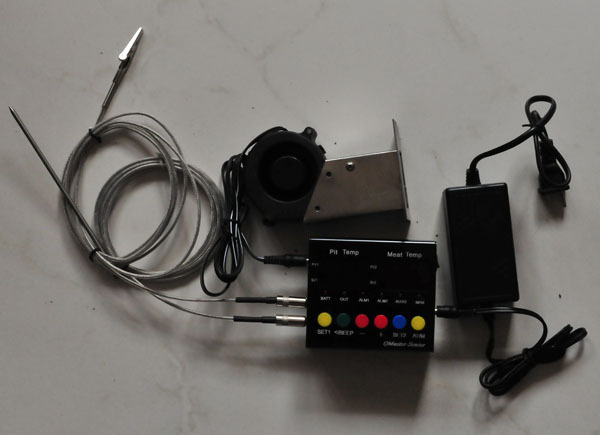 The PID can control speed of blower stepless, temperature fluctuation can be as less as 1F. Also you can set maximum output of a blower by programming a parameter of Udc. a 50 CFM blower will fit all pit. 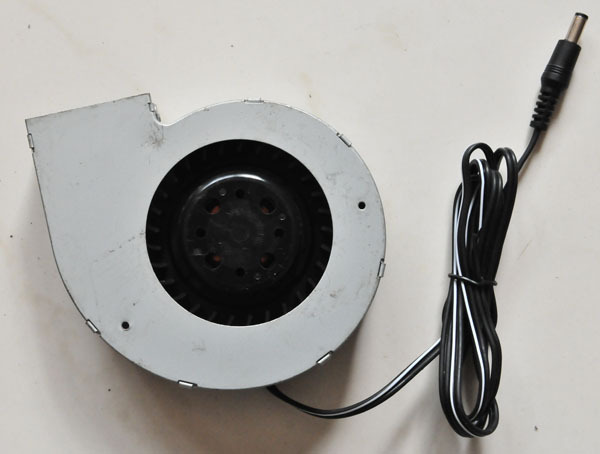 Say Udc as 505,60%,70% , the 50 CFM fan will indeed become to 10 CFM, 20 CFM 30 CFM fans. As there are too many data to input, better to write down on paper. During full course, the pit temperature is limied under 225F .You will never worry about overburn of your meat. You can choice display in F or C.
If you are familiar with PID thermostat, you can do your own settings of other parameters. In case you set all parameters in mess, you can reset to original settings. If you want to have strength of fire by your eyes or your experience, you can simply press Auto/Man button to use manual mode. 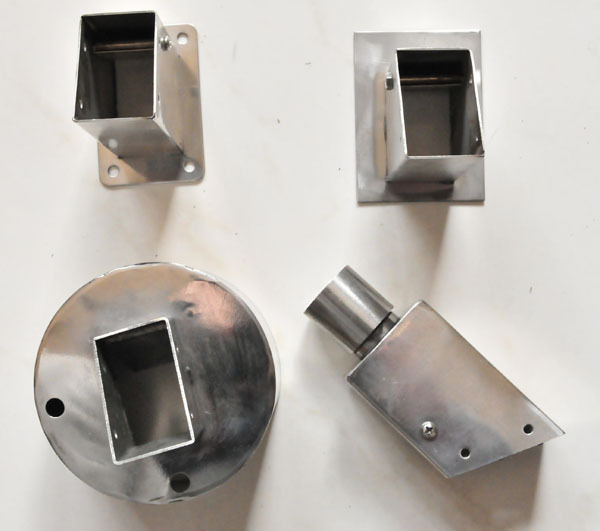 Simply by pressing "+" or "-" button, you adjust speed of blower and in turn strength of fire. 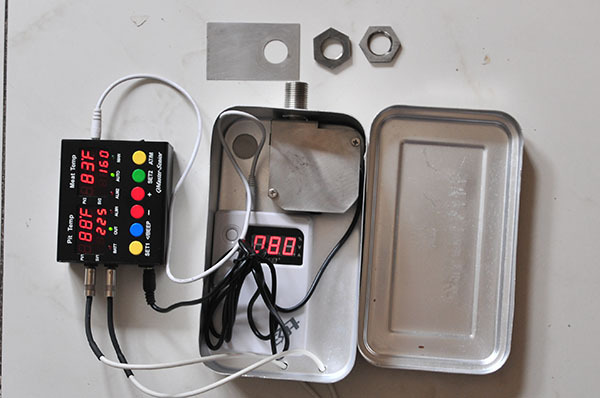 If you can post reviews with photography and videos on major BBQ forums, Twitter, facebook, youtube, when your each post attracts 1000 hits, you will get a free set. If your post attracts 5000 hits, you will get 5 free sets. if your post attracts 10000 hits, you will get 7 free sets. Hits over 10,000 to be discussed. QMaster-Senior is indeed an upgrade of old Golden-WOLF. Some 1000 pieces of Golden-Wolf had been sold since 2009. There are many discussions here and there. You can google it. 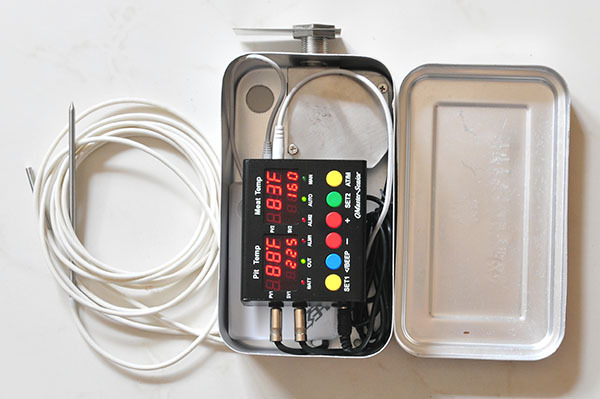 Adopt Sous Vide theory to Low & Slow smoking. In Sous Vide, you heat meat at 130 to 140F for long hours, say 12 to 72 hours. But in traditional Low & Slow Smoking, you heat meat to internal temp. to as high as 210F, then foil the meat and place in a cooler box. 140F can make meat much tender. Why do not smoke meat at 140 F for long hours. Answer is that you can not keep meat at 140F for 12 to 72 hours by your smoker. So far all smokers can only control temp. of smoker itself. 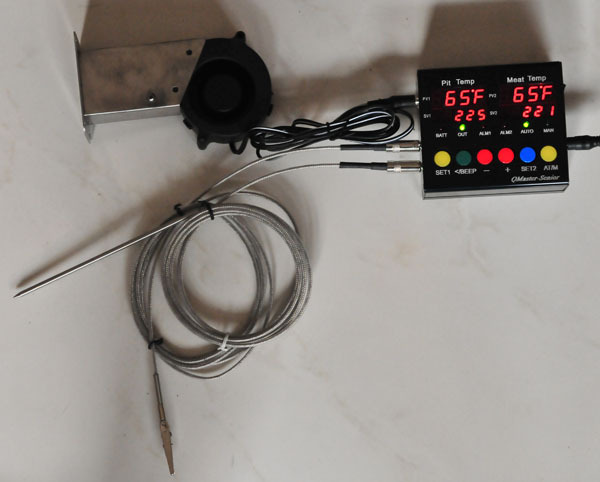 Most temperature controllers can only "TELL" internal Temp. of meat, but can not control IT. 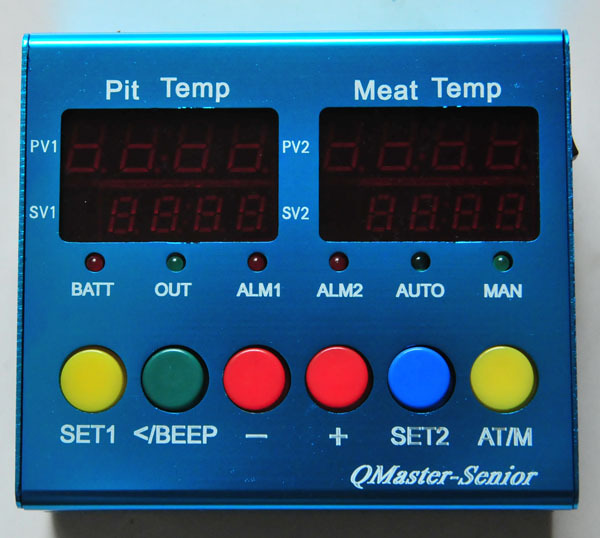 By QMaster-Senior, you can keep meat internal temp. at 140F for 10 hours or more in your smoker. 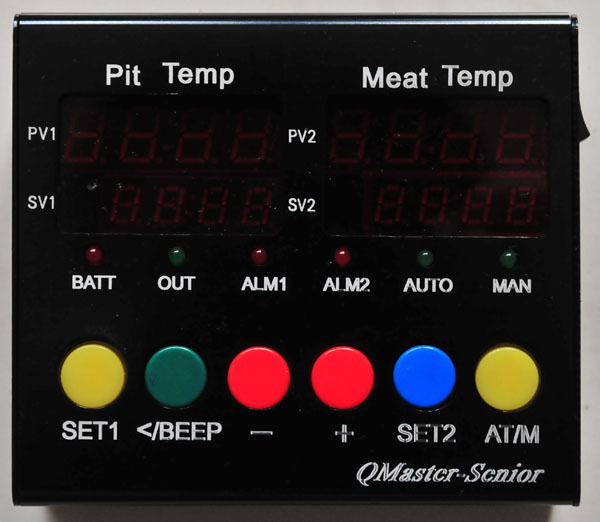 You can set pit temp. (SC1) at 225F, and meat temp. (P1) at 140F, and when Internal Temp of meat reaches to 140F(P1), the Senior will hold the meat at 140F for 600 minutes(T1). SC1, P1,T1 can be programmed by yourself. Trust me. 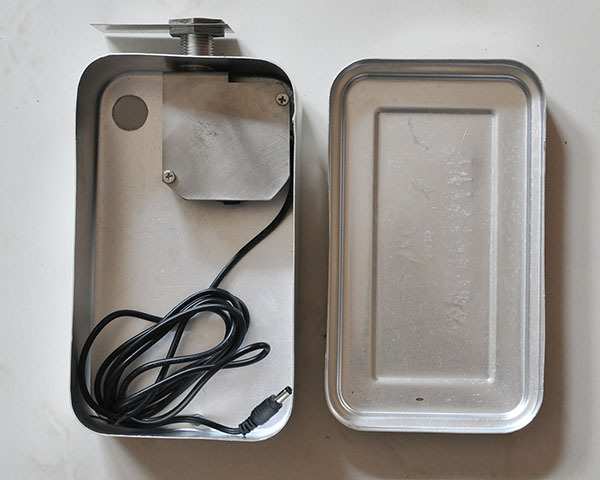 It is another revolution on BBQ history. Hope you and me are pioneers in new Double Low&Slow Smoking. Jan.31, 2014 is chinese new lunar year of horse. We are having holiday till 6th of Feb. 2014. Orders placed during this period will get 50% discount. 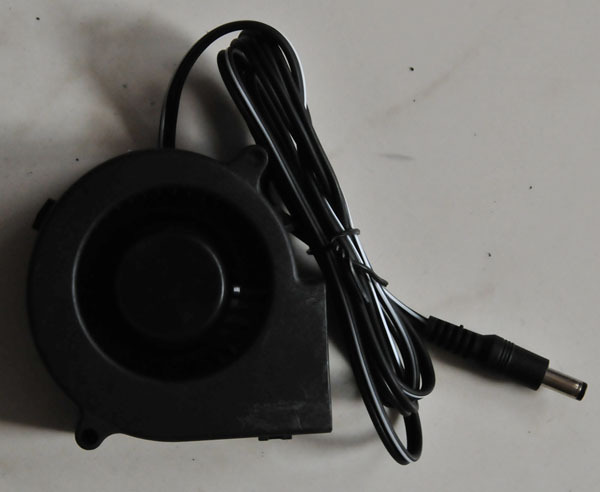 Senior package with fan adapter A or C $79, free air mail. To place order, please make payment to eBay@allchinas.com via www.paypal.com directly. Please leave me a message in paypal transaction "thesmokering + your ID+ Senior (A or C)"
Delivery time will be around 10th of Feb. When did you buy the Junior. You must set Udc. make sure when outlet green light is on, the blower must spin. if not spinning, just increase Udc. You can start from I=0,D=0 and try different P.
The right P shall has less fluctuation and temp. rises to target faster. T is the time in second that it takes to rise 1 to 2 F.
If T is too short, you simply disable D.
If T is too big, you will get unstable temp. 2.Set I=0,D=0, try P=1,2,5,10,20,50,100 ect. Do you think you might do this special again this year, it would be the perfect time to buy my dad this gift. Save yourself a LOT of misery and buy a controller (that works as advertised) from a REPUTABLE manufacturer. Yes I will do in Dec.
and I am an eBay PowerSeller. 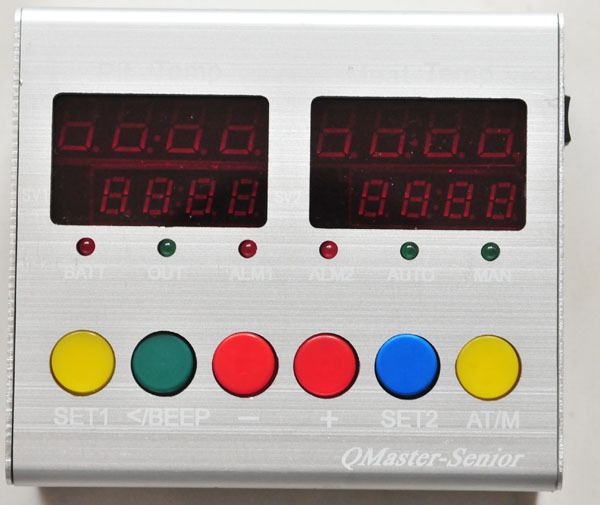 If you check eBay sales record, you will find that my QMaster-SENIOR is far more better than all competitors. Shouldn't this conversation be in the Commercial Sales section? Honestly, if this sales and tech support thing continues to proliferate in the General BBQ Discussion then I'm going to take a sabbatical. 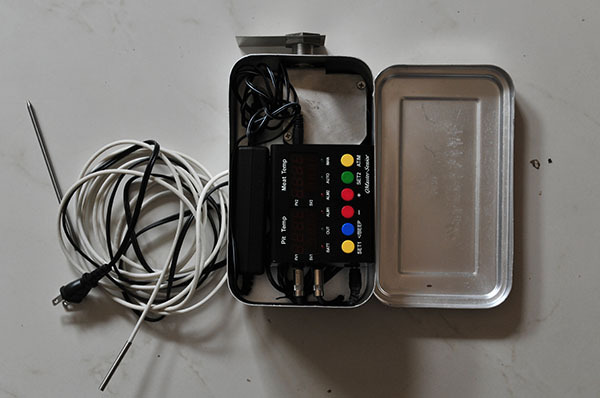 Perhaps I'll use the time to develop a freeware wireless stoker control. ohhhhkaaaay I see that the Commercial Sales section isn't there anymore. I didn't realize that it got gone. So... vendors are now going to peddle and support their product in the General BBQ section??? I'm just asking. In the Commercial sales section that wasn't there when I posted that... you know the irony, there have been more posts in this new section since it was created, than in the last 3 months that the old Commercial soles section was there. Posted: Thu Sep 24 15 11:49 pm Post subject: Suggestions...... ?